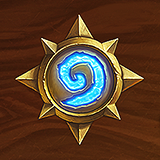 The first 2 weeks of my hearthstone experience..
Is it possible that some of the hearthstone game designers have downs syndrome? I don't know how else to explain the fact that, as a new player with maybe 4 legendaries in total, I only play against people with so much better cards. How does blizzard expect to retain new players if the matchmaking system is so broken? It isn't exactly fun to constantly lose because your opponent has much better cards than you. Free to play my [email protected]#. We matchmake players based on skill level rather than collection. It's possible to only match players with similar collections, we do some variation of that in casual mode for new-player accounts but decided not to use it for competitive queues. It would more than likely lead to some undesirable behavior where the best way to rank up was to be a very good player with a low-dust value deck. It can be frustrating to lose to players you perceive to have more powerful decks because they have a lot of legendary cards, but we try to make sets that have a reasonable amount of high-power cards at common and rare as well.